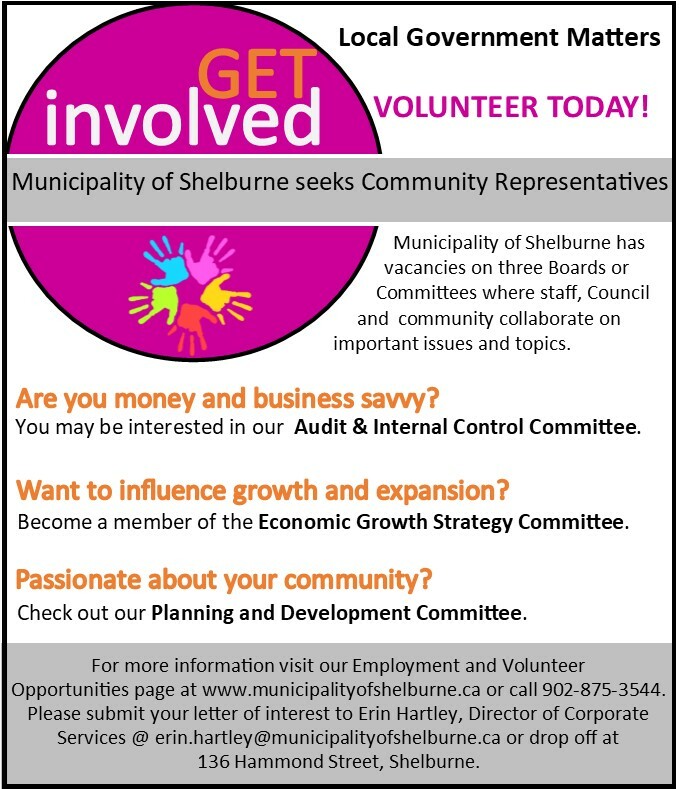 The Municipality of Shelburne is now accepting applications for a RMRF Summer Student Position. Deadline to apply is May 3rd at 12 noon. Job descriptions are also available from the Recreation & Parks office at 136 Hammond Street, 3rd Floor, Shelburne. Local fire departments and community halls are always happy to have new volunteers. Check with someone in your community to see how you can help!